(ex)Giordano couple attacked dramaland and killed it. The drama’s ratings weren’t that high, not up to the expectation people had from this (ex)Giordano couple. The drama was fun and light hearted. It moved at pretty stable pace. The acting division was definitely not the problem. Then, why was the rating so low? I come up with some possibilities. First, it was mon-tue drama. Mon-tue dramas usually are low in viewer rating except some really great ones. Second, it was up against Six Flying Dragons which was a bad idea. Six Flying Dragons was unbeatable, it had been #1 since episode 1. Third, it’s from KBS. LOL not going to lie but most of KBS dramas’ image quality is so dull and looks cheap. KBS is also famous for its makjang dramas. The trend is changing now. People prefer cable dramas to public broadcast dramas now. Especially now cable dramas are higher in quality compared to public broadcast dramas. Fourth, the idea had been sold for so many times already. People want to watch smarter and refreshing dramas. Fifth, whatever the reason was. The drama could be the rating monster since it had the (ex)Giordano couple and it was very unfortunate that the viewer rating was low but Oh My Venus managed to make me squealed and giggled like a child. So Ji Sub + Shin Min Ah = my eyes were looking at heaven. Both bursting with charm and their chemistry was so strong thanks to their Giordano ad in the past. They were so playful and comfortable with each other and that made them so easy on the eye. So Ji Sub doesn’t need any introduction. You guys already know how great this guy is in acting. His sad puppy eyes are the best sad puppy eyes of all those sad puppy eyed guys. He’s the best in emotional scenes. I do hope that he takes projects that heavier than this. A melo maybe? Or a noir? Or action! I think Shin Min Ah nailed her role but yes, she sucked in crying scenes. She needs to practice more to improve but other than that she was great. She was very natural in most of her scenes. Her laugh was so contagious. Yoo In Young I didn’t watch many of her scenes since I got really fed up by her in episode 2 so I skipped most of her scenes and Jung Gyu Woon until the end. But that means that she really did a great job as an annoying friend. The supporting casts were good too! Henry was fine! And it’s nice that to hear his infamous “neck slice” again after so longgggggg. The image quality was pretty standard for public broadcast drama but the camerawork was lovely to look at. The music was nice even though they mostly played Jonghyun’s song. The sound effect wittily played and matched the atmosphere of the scene. I also really liked their wide selection of witty sound effect. Like when Kang Joo Eun punched the bear doll, they also added punching sound effect. The drama was so addicting!!!! I was happy that I decided to pick this up after it finished airing so I didn’t have to wait a week for the next episode. I marathon-ed the drama in the span of 3 days only! That’s how addicted I was! The story was light and so much fun. There were so many cute scenes that’d make you go awww. The dialogues were clever and witty. The plot moved at pretty stable pace. Plot wise, it might not be the most brilliant drama but it was definitely very enjoyable. 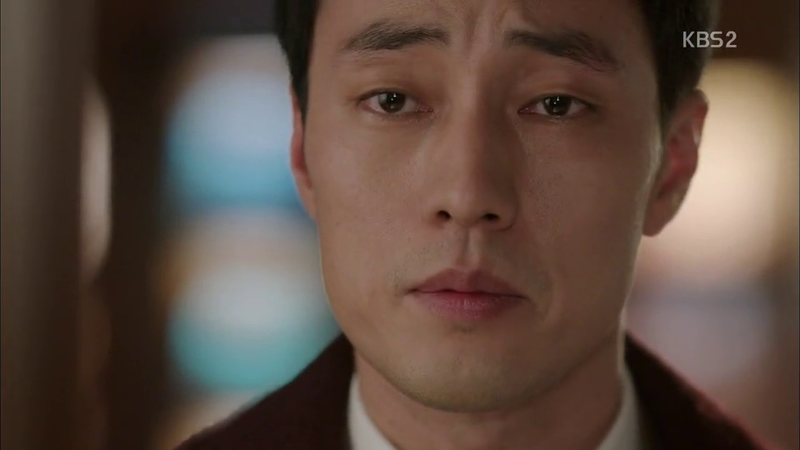 Ep 13 was so heartbreaking. The previous 12 episodes were all fun and sweet then suddenly the OTP had to being away from each other. The pain was real. 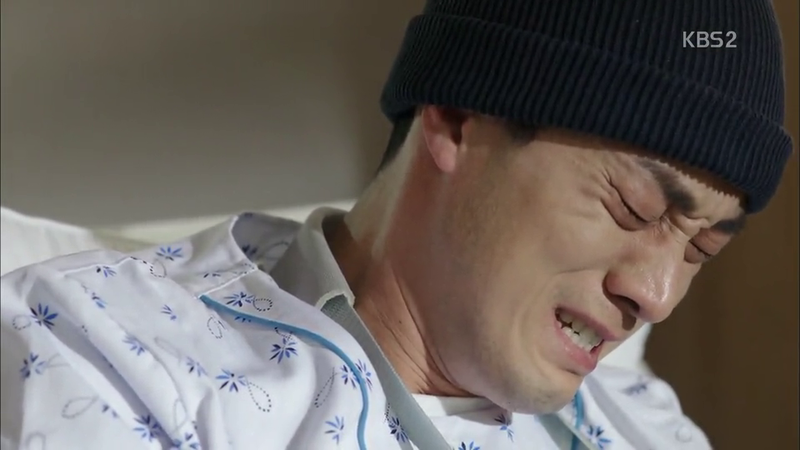 I shed tears at the scene of Joo Eun calling for Young Ho and I broke into a million pieces when Young Ho cried. It’s nice that Soo Jin and Joo Eun made up and resolved the misunderstanding between them. Oh, I also want to compliment the stylist team for putting effort into Kang Joo Eun’s fat outfits. 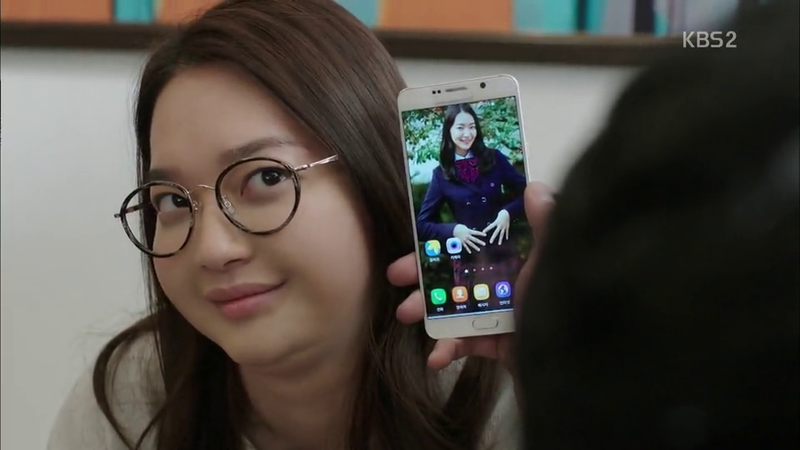 I found Kang Joo Eun’s transformation to a fat woman is so relatable. One can be really busy with his/her job and that leads to unhealthy lifestyle (not doing any sport, junk/delivery food, messed up sleeping pattern). Gaining weight is so damn easy when your lifestyle is messed up. The OST album only consists of 9 songs but I personally think it’s much better than other OST albums. It’s better to have less songs rather than too many songs but only play once throughout drama’s entire run. Now, it’s really common for a drama to release its OST album and has 25+ VA tracks on it. I mean, why bother releasing so many VA tracks when several tracks aren’t even played in the drama or only played one or twice. Of course, again, the reason to release many tracks is because PDs want to match the BGM with the scenes. Having a wide selection of BGM really helps in creating and building the right emotion/tension. But, again, less is better. Not everyone listen to the VA tracks tbh. I love every single song in Oh My Venus OST album. You’re familiar with every song because they were played pretty often in the drama. Every song represents this drama and will get you reminded of a scene from the drama the moment you listen to it. For example, Mi’s song called It’s You was used at sweet and romantic scenes. 테이’s 내가 있을게 and 그런 사람 were played at sad scenes. Will I Watch it Again? YES! It’s a nice drama to watch and definitely going to get you addicted to it. Give it a try and you’ll find yourself smiling ear to ear throughout the show!